On Friday Romanian President Klaus Johannis met President Trump in Washington, DC. Romania is not what many call “core Europe,”­ and is often perceived as less important than the European heavyweights. Many agree that Romania’s commitment to spending 2 percent of GDP on defense is what rendered a presidential meeting so early in the U.S. administration’s mandate. Set against the background of increased uncertainty concerning U.S. relations with and commitment to its allies and general turmoil over the Russia investigation, the visit may have remained unnoticed had Trump not committed the United States to Article 5 in response to a question from a Romanian journalist during the press conference that followed the meeting. Romania and the other countries in the region, placed in close proximity to an aggressive and threatening Russia, remain deeply concerned with security. 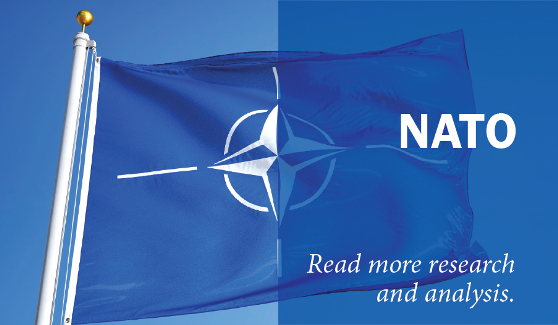 NATO has increased both its presence and activity on its Eastern Flank. No later than next month, a large-scale military exercise involving 25,000 soldiers from 23 countries is scheduled in Romania, Bulgaria, and Hungary — the most recent in a series of measures meant to deter Russia from further aggression. Yet Russia continues to militarize the area, concentrating armaments and heavy weapons in Crimea and intensifying its activities in the Black and Baltic seas, in addition to employing a full range of hybrid warfare actions in and against countries in the region. Because it hosts elements of the anti-missile shield and a U.S. base, Romania is a preferred target of Russia’s threats and is seeking — and was promised during this visit — continued U.S. support. Beyond the unfortunate dynamics between Trump and European leaders, the general turmoil of the Russia investigation, and the overall flamboyance of Trump’s performance, the U.S. administration has in fact showed some positive signs for countries along the NATO’s Eastern Flank. The European Reassurance Initiative budget has been increased by 40 percent, President Trump signaled his intention to attend the upcoming Summit of the Three Seas (a head-of-state level meeting of EU countries on the Baltic, Adriatic, and Black seas) in Warsaw, and the U.S. military remains substantially engaged in the region. Fresh reassurance that the United States remains committed to Article 5 sends a signal that countries on the Eastern Flank were anxiously waiting for — should Russia aggress a NATO member, this would be an aggression against all NATO members and the United States along with the NATO would intervene. Romania gained a ticket for an early meeting with Trump after displaying unconditional loyalty to the United States for the past 27 years, meeting the 2 percent commitment to military expenses, and, contextually, by having a more palatable government than Poland, the heavyweight of the region. This is an important achievement for Romania, as it has recently embarked on a campaign to raise its profile among the new EU members and within the Union. Therein also lies the danger. Unlike Trump’s interaction with Western European leaders, the very cordial and friendly attitude of President’s Johannis and Trump during the meeting and the U.S. president’s promise to attend the upcoming Summit of the Three Seas, which is a reunion of new EU members, may be seen as advancing the division between the Old and New Europe — especially against the background of the new tension between Trump and leaders of the latter. This division would only further weaken the unity of the EU, already tested by Brexit, and threatens the EU’s resolve in sanctioning Russia for its military adventures in Ukraine, very much to the disadvantage of Eastern Flank countries. Romania and the other countries of the Eastern Flank, while exhaling with relief at the reassurance of Article 5 and U.S. friendship, need to engage with the rest of the EU to relax and further deepen the transatlantic relationship, despite the uncertainty surrounding the current U.S. administration. As the Romanian president said, it is only cooperation between United States, the EU, and NATO, and not their competition, that will successfully address the threats facing countries on both sides of the Atlantic — with terrorism topping the list.